Integrity Municipal Systems (IMS) is a specialty engineering company devoted to the design and supply of innovative, pre-assembled, process solutions for the water and wastewater industry. With over 20 years of experience, the IMS team has the knowledge and dedication to help with your chemical feed, odor control, lime slaking, and chlorine gas scrubbing applications. IMS has achieved a reputation for producing unique, practical, and cost-effective solutions for our customers. We are committed to providing quality, service, and overall value that exceed your expectations. ​Our management team brings decades of experience and expertise in the design, engineering, and manufacturing of water and wastewater treatment products. Our field services team provides our clients with expert-level post-installation maintenance and support services. 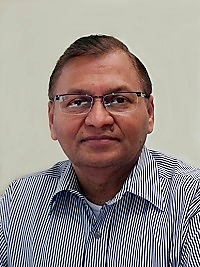 Roop Jain has more than 35 years of experience designing air pollution control, odor control, and chemical feed products for the water and wastewater treatment industry. 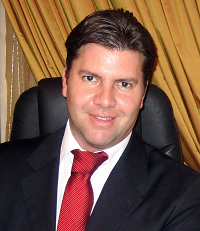 He is the founder of RJ Environmental Inc. (now a subsidiary of Evoqua Water Technologies, LLC), founding member and former EVP/COO of Underground Solutions, Inc., (acquired by Aegion Corporation in 2016), and currently serves as CEO & President of IMS. Mr. Jain holds a M.S. in Chemical Engineering from the University of Cincinnati, OH (1979), a B.S. in Chemical Technology from the University of Bombay, India (1976), and a B.S. in Chemistry from the University of Jodhpur, India (1973). He is a registered professional engineer in Chemical Engineering in California. ​Mr. Jain's career began with Calvert Environmental. In 1984, under a consulting contract with the City of San Diego, he designed an odor control system for a 200 MGD raw sewage pump station. This effort led to the development of a proprietary mist scrubber technology that became the foundation for a new Calvert product offering. In 1991, Mr. Jain founded RJ Environmental (RJE), which developed and sold Emergency Vapor Scrubber Systems (EVSS) and Odor Control Scrubbers. He served as VP/GM after its acquisition by US Filter Corporation in 1997. RJE subsequently became a part of Siemens Water Technologies and is now a subsidiary of Evoqua Water Technologies, LLC. RJ-2000® and LO/PRO® are registered trademarks of Evoqua Water Technologies, LLC. 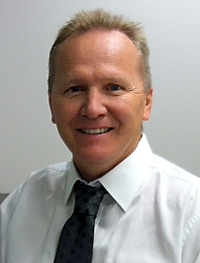 ​Jim Pike is a veteran in the air scrubbing industry, bringing over 30 years of related experience to IMS. His product knowledge and hands-on field experience have made him invaluable to IMS and our customers. 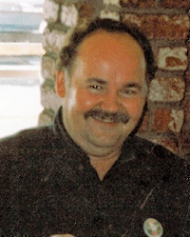 Prior to joining IMS, Jim worked at RJ Environmental as Manufacturing Manager and Field Service Manager, at Calvert Environmental as Plant Manager, and at Ershigs Inc. where he was involved in manufacturing a wide range of FRP products. Jim personally built the first prototype of a low-pressure emergency chlorine scrubber and, together with Roop Jain, participated in a full one-ton chlorine gas release test that proved the design. He has worked in such diverse industries as pulp & paper, chemical manufacturing, mining, and electrical power generation. ​Based in Athens, Greece, Georgios Ioannou is well situated to support customers throughout Europe, as well as the GCC countries of the Persian Gulf and the countries bordering the Mediterranean in the Middle East and North Africa. 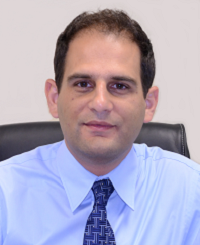 Georgios has a Bachelor's Degree in Mechanical Engineering and Master's Degree in Mechanical Engineering and Management of Technology from San Diego State University. He has 19 years of experience as a Project Engineer and Technical Sales Manager with Siemens Water Technologies, USFilter, and RJ Environmental and has been servicing the EMEA market for the last 14 years. Bob Arseneau is the Manager of the Zeeland, Michigan office and factory of IMS, home of the Lime Slaker products and principal IMS manufacturing facility. Prior to joining IMS, Bob worked for several years as a Project Manager with Siemens Water Technologies where he was responsible for the design and fabrication of Lime Slakers, Dry Polymer feed systems, and other dry and wet chemical feed equipment for municipal and industrial customers. In addition to his experience with lime slakers and chemical feed systems, Bob has 20+ years additional experience in engineering design, manufacturing, project management, construction, and facility management.